Villagers in Indonesia hear a steady stream of stories about the injuries, abuses, and even deaths suffered by those who migrate in search of work. So why do hundreds of thousands of Indonesian workers continue to migrate every year? Carol Chan explores this question from the perspective of the origin community and provides a fascinating look at how gender, faith, and shame shape these decisions to migrate. Villagers evaluate men's and women’s migrations differently, leading to different ideas about which kinds of human or financial flows should be encouraged and which should be discouraged or even criminalized. 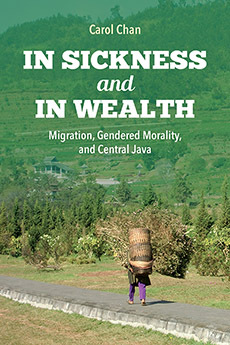 Despite routine and well-documented instances of exploitation of Indonesian migrant workers, some villagers still emphasize that a migrant's success or failure ultimately depends on that individual’s morality, fate, and destiny. Indonesian villagers construct strategies for avoiding migration-related risks that are closely linked to faith and belief in supernatural agency. These strategies shape the flow of migration from the country and help to ensure the continued confidence Indonesian people have in migration as an act of promise and hope.